An experience modification factor is a rating factor used to price Workers Compensation insurance. It is calculated, normally on an annual basis, using payroll and loss data reported by insurers to insurance rating bureaus. A 1.25 experience modifier translates to a 25% surcharge on manual Workers Compensation insurance premiums, while a .75 modifier would mean a 25% discount. Experience modifiers are normally calculated using payroll and loss data from three past policies, but can be calculated using two or even just one year's worth of data. In theory, an experience modifier higher than 1.00 would indicate that the three year loss record of a company is higher than the average of all other companies doing similar work, and since it is calculated by an independent rating bureau, it has been increasingly adopted as a safety benchmark. The experience modifier is, after all, readily available for all companies over a certain minimum size and is calculated using a standardized formula that has been approved by state insurance regulators. Even though all of the above is true, the experience modification factor is a badly flawed measurement of a company's workplace safety record. Consider one recent case of mine, where a company asked me to review their experience modifier. It had recently increased over 1.00, and it was locking them out from bidding on projects. But the critical loss, the one that pushed this company over 1.00, had been a loss where a salesman for the company had slipped in a shower while away at a convention. This somewhat unusual injury produced a very costly claim that was covered by Workers Compensation. So the claim was used to in the computation of that company's experience modification factor. And yet, that expensive claim really had nothing to do with how safely that company performed its actual work out in the field. Experience modification factors utilize claim data for all workers, not just those performing work at client's worksites. So expensive injuries to clerical or sales people can impact a modifier without being any reflection on how safely the company operates. Additionally, experience modification factors are subject to little or no quality control by the rating bureaus that perform the calculations. It is a classic example of "Garbage In, Garbage Out". Whatever is reported by the insurance companies gets fed into the rating bureau computers, even when a cursory review might indicate something questionable. In a recent case, my review of a client's experience modification factor revealed that the rating bureau had used only two years worth of data, rather than the customary three. The rules allow for this when there has been only two past years of operation by the insured, but in this case the employer had been operation for that third year, but the insurance company had just neglected to report the data. Worse yet, the data for those two years was obviously wrong: the insurance company reported the exact same payrolls and losses for two consecutive years, something that is beyond unlikely. There is simply no way a company will run exactly the same payrolls and losses for two years running. Payrolls may be very similar in two consecutive years, but not identical. Yet no one at the rating bureau had spotted these problems, and that experience modifier had been issued and used by insurers without question. Another complicating factor is that there are multiple insurance rating bureaus that calculate experience modification factors, each using its own particular formula that weighs individual claims somewhat differently. Some of these rating bureaus are supposed to integrate data when an employer operates across multiple states, a few rating bureaus calculate experience modifiers that stand alone for a particular state. In another recent case, we saw that our client had both a state-specific experience modifier and a separate modifier calculated for other states. In this particular instance, the rules stated that these two modifiers should have been combined. But because of oversights, they had not been. When we arranged for these two modifiers to be properly combined, the unified modifier was significantly lower than either of the two separate experience mods. Some states, though, like California, Michigan, Pennsylvania and Delaware, use their own state specific rating bureaus that do not integrate data with other states. Thus, a company operating in both California and Arizona might well have two separate experience modifiers, each computed using different data and calculated using differing rating formulas. If that same hypothetical company also operated in Michigan and in Pennsylvania or Delaware, it could have two additional separate modifiers (Pennsylvania and Delaware operate a joint rating bureau that calculates modifiers for companies in those states). Again, not only would data differ, so too would the formulas that govern the computation of the modifiers. Because an experience modifier is calculated using both loss and payroll data, sometimes an experience modifier can be reduced by correcting the payroll data, while the losses remain the same. In one case of ours, our client came to us in some desperation because all of their work was done on a federal government facility, and their experience modifier had risen above 1.00. They were told that they could no longer operate on the federal facility because of this. We discovered, however, that this insured had obtained a reduction in premium in past years, because an error by their insurance company had assigned payroll to a less expensive classification. By carefully arranging for those past premium errors to be corrected, and our client retroactively paying additional premium charges, and then making sure those revised payroll figures were used to revise the experience modifier, the experience mod was then reduced below that critical 1.00 threshold. Nothing had changed in this company's loss record, it should be noted. But the "expected losses" to which those reported losses were compared had been changed, as expected losses are computed using payroll data by classification. Nothing in the above case was contrary to the rules that govern experience modification factors. The reduction in modifier was the result of correcting an earlier error that had reduced premium charges for this employer. But faced with the loss of their entire business model, paying additional premium charges retroactively was judged to be a prudent decision. This case does illustrates one of the drawbacks of using the experience modifier as a gauge of workplace safety. Nothing had changed in this company's loss record, but by paying additional premiums, they were able to significantly reduce their modifier and thus continue providing technical services at the federal facility. They went from being locked out of their single workplace to being able to continue business operations. Oh, and the reduction in experience modifier, since it reduced current Workers Compensation insurance premiums, also offset some portion of the additional premiums they had paid-nowhere near all of it, but a significant fraction of it. There are many ways experience modification factors can be inflated. One of those ways involves when an insurance company receives a reimbursement for a claim. Sometimes that is because of a subrogation, where a third party ultimately pays the insurer for a significant portion of a claim. It can also involve payments from various funds that many states have operated in the past. When insurers receive such reimbursements they are supposed to file corrected reports with the appropriate rating bureaus. Some insurers are pretty conscientious about that. Others, including some of the largest and most well known insurers, are not. Our consulting work has found troubling instances where some large insurers have systematically failed to file such corrected reports. The result of this is that experience modifiers for affected employers have been higher than they really should have been. Consider just one egregious example we have seen-in this case, the large and nationally known insurer had obtained a reimbursement from a state fund. At first, they had failed to filed a corrected report with the rating bureau. Once they were prodded to do so, they filed the corrected report, and the rating bureau then recalculated the modifier. Since that same large insurer still wrote the Workers Compensation insurance for that employer, they should have recalculated those premium charges using the newly revised experience modifier. They did not. Even though this large insurer had reported the revised loss data to the rating bureau, once that rating bureau had performed the recalculation and sent it back to that insurer, it was ignored. So again, that company's experience modifier was higher than it should have been, even after the appropriate revised data had been reported. Complicating all of this has been the adoption of a significantly revised rating formula in most states. The rating bureau used in most states, NCCI (National Council on Compensation Insurance) has significantly altered the formula for experience modification factors over the past few years. This new formula affects different companies differently, but it does mean that small and medium size companies with moderate loss records are seeing experience mods significantly higher than would have been the case a few years ago. Yet the experience modifier benchmarks typically used, 1.00 or 1.05, have not been revised to reflect these changes in the experience rating formula. So without there being any change in their historic loss levels, many companies are finding their experience modifiers significantly higher, because of this new formula. Certainly, employers who may be affected by an experience modification factor increase need to make sure the calculation is examined carefully, to identify and correct any errors. And if the new experience rating formula is producing a disproportionate inflation of the modifier, additional context can and should be considered. For example, a modifier that has been calculated under the new formula could be recalculated, by a trained professional, using the formula that had been in place a few years ago. If this produces a significant difference, this might be a factor that should be weighed. Or if the experience modification has been impacted by a significant claim that was for clerical or sales people, a calculation could be done that excluded both payroll and claims for those workers, and this could also provide a better measurement of the actual safety record of field operations. Finally, an employer can review past premium payments to determine if those premiums were inadvertently lower than they really should have been. Although such undercharges are much less common than overcharges, they do occur, in spite of the best efforts of insurance companies. A carefully planned and executed effort to retroactively pay those past premiums can have a beneficial impact on an experience modifier, though it must be stressed that one should very carefully calculate the cost/benefit ratio of this, and make sure the revised payroll figures (which are the basis for premiums) are properly reported and that the rating bureau will perform the revision. All of these flaws and deficiencies in the experience rating system for Workers Compensation insurance do not mean that the experience modification factor should be disregarded, but it does mean that a hard and fast rule that draws a line in the sand at 1.00 or even 1.05 can unfairly penalize companies that actually operate safely. A more nuanced evaluation of workplace safety is needed to avoid excluding companies that actually operate safely, and yet whose experience modification factors have risen over some arbitrary benchmark. Some adjustment may need to be made for smaller employers, where a single exceptional claim can have disproportionate impact on an experience modifier for three years running. Using the experience modification factor as a workplace safety measurement is an attractive methodology because it is readily available and seemingly objective. But for all the reasons I have described, it can be an unreliable and unfair yardstick. 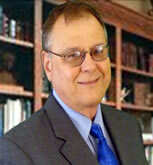 Edward J. Priz, CPCU, APA, has worked full-time in the Insurance Industry since 1976. In 1982, he also began consulting on Workers Compensation insurance issues, and in 1987 established his own consulting firm to specialize in this field, as Advanced Insurance Management. Mr. Priz holds the professional designation Chartered Property Casualty Underwriter (CPCU) from the American Institute of Property and Liability Underwriters, as well as the designation Associate in Premium Auditing, from the Insurance Institute of America.